Today 29th July is my good friend Ryosuke Banno's Birthday - he turns 30 today. Banno is the Captain of Team Ku from Japan and he plays for Delta Rovers in the MY-NPL. I did this interview a while ago as in I was the one being asked questions this time round. Please click on the link or the screen grab above to go and read my interview. Thinking about playing paintball as a Sport in Singapore? 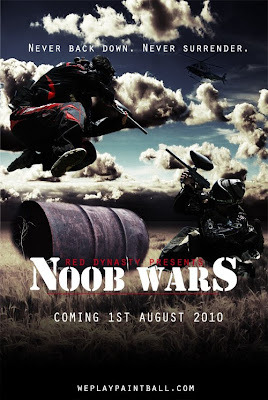 Come and check out NOOB WARS this Sunday 1st August at RED DYNASTY. 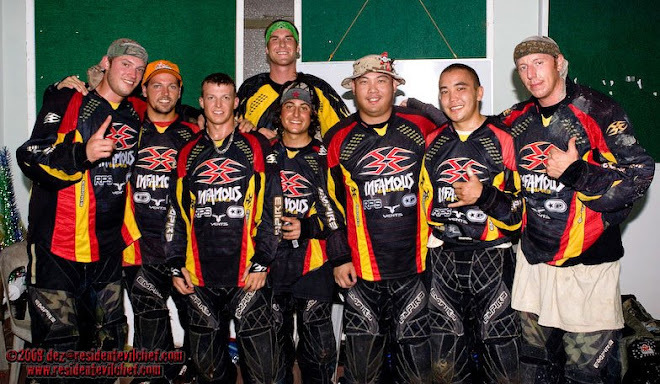 8 New Singaporean Paintball teams are playing their first tournament. Come and show your support to these 8 new teams making their own history in Singaporean Paintball. 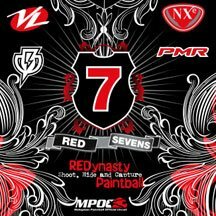 If you have any questions about paintball or setting up a team please approach any of the Red Dynasty Staff or the Marshals. Noob Wars is organised by Red Dynasty and Marshal duties will be done by the RED SEVENS. 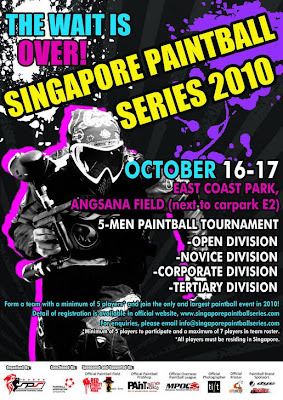 The Singapore Paintball Series (SPS) will be held on 16 & 17 October 2010 in East Coast Park (Angsana Field, next to carpark E2). From the same organizers who brought you the Singapore Paintball Novice Series (SPNS) in 2008 and 2009, this year's tournament will feature a 2 day event for participants with up to 4 different participating divisions. New to the tournament scene will be the Corporate and Tertiary Division which is targeted to introduce the sport of paintball to corporate companies and schools as an excellent form of team building activity. 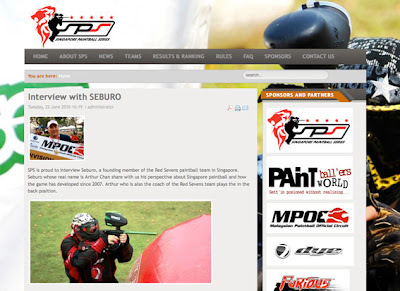 "After taking a break from organizing paintball tournament in Singapore, the committee felt that it is time to introduce a new wave of Singapore paintball to the general public. Our focus for the SPS will be creating paintball awareness to the masses and to create an opportunity for people to try out paintball games in the park", exclaimed Jane Koh who is the SPS Tournament Director and the former President of the Paintball Association (Singapore). With the introduction of the Open Division which involved the use of electronic markers, the committee hopes to bring about a completely new tournament scene to the paintball community to Singapore. 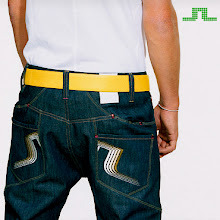 This is also the first time that electronic markers competition will be showcase to the crowd. My take on this is some people trying to get a bigger piece of the pie by trying to create another pie. This of course did not go down well with the owners of the first pie as it threatens its existence and everything they have worked hard to build. Now, my take on this is more of a question. Instead of creating an Asian Series with the Millenium Series- WHY try to recreate another series with the Millennium Series? There are other leagues like the PSP which has a similar 'race to' format to the Millennium's M7 format. If they wanted to go with the straight up 7 or 5 man semi auto format - they could have approached the NPPL. One of the supporters of the consortium runs a series which is closely modeled on the NPPL with the type of bunkers and referring style. Personally I don't think the pie in Asia is big enough for two series especially if its going to be a similar 'race to' format. If anything a second series should offer something entirely different from the 'race to' format. 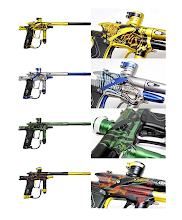 If you look at America the two biggest paintball series are different formats. They reluctantly compliment each other and have found common ground to work together somewhat. They both need each other because having two is better than having one. It simply gives teams, sponsors and the sport more mileage. We all know that the two parties will not work with each other its just not going to happen. Ok that's fine - lets move on. Instead of destroying something to recreate the same thing - why not CREATE something new. The PALS Organisation is safe - for now. However I think they should not rest on their laurels and instead build upon the recent "endorsement" from the Millennium Board. I'd like to see the PALS Series make an important come back to Taiwan and open new avenues in countries like Indonesia up north to Japan Korea and even Singapore. The middle east have their own PALM Series now, however if PALS gets into more countries then its prestige would draw the teams from the Middle east back to the PALS Series. The Asian Golf Tour have successful collaborations with the European Golf Tour in by having some of the Golf tournaments in Asia co-endorsed by the European PGA thus drawing European Pros to come out to Asia to play. 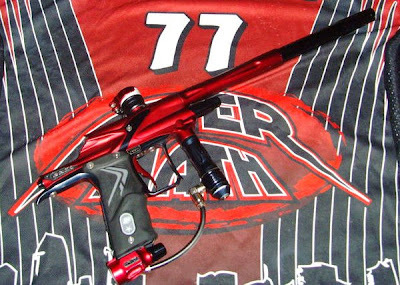 We could have collaborations between the PALS/PALM/Millennium Series and draw more teams to play in each others league. Anyway that's my take on this Millennium Series in Asia matter. Thank you for reading my blog and I'll be back soon. Please read and I'll interpret for you below. 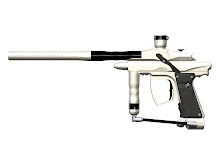 The Millennium Series is dedicated to the growth and promotion of the sport of paintball since 1999. Since that time the Millennium Series (www.millennium-series.com) runs the biggest tournaments in Europe and offers a platform for competition to the best teams of the world. Apart from running our own series, we support other tournaments, series and leagues, in Europe and worldwide on a global scale by various means. 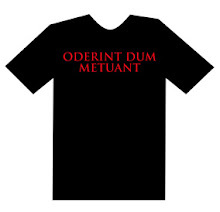 This includes, but is not limited to providing knowledge, equipment and various other assets. In the Far East, the Millennium Series has been endorsing the PALS tournaments, which use our rules. The PALS (www.palseries.org) has grown over the years amazingly fast, featuring their flagship event, the World Cup Asia in Kuala Lumpur, Malaysia and having successfully hosted events in other countries, like Thailand, Taiwan and Philippines. Basically the Millennium Series is asking all parties involved to find a way together towards our common goals. In a time, where support from within the paintball industry is getting less and less, it does not make sense to build parallel structures and organisations, which would lead to divide and fighting each other. Instead, existing structures should be used to accommodate the ambitions and totally justified strategic interests of other individuals, which have already shown commitment and constructive passion for the game, both in Malaysia and in other Asian countries. If these parties manage to focus on common goals and strategies in a constructive manner, exciting times lay ahead for Asia, which is already the fastest growing region in paintball! 1. The Millennium Series is here to promote paintball by supporting other leagues around the world including the PALS Asian Series. 2. Recently The Millennium Series have been approached by some individuals who want to promote another Asian Series. 3. In light of this new consortium seeking official endorsement from Millennium Series in Asia, the board called for a meeting with the two groups in London and their cases were heard. 4. Instead of supporting one consortium over the other. The Millennium Board would like both parties to work together rather than against each other for the good of the sport.